Festivities in honor of the patron Saint Stefano, Procession of the fine simulacrum of the late sixteenth century on the artistic fercolo and execution of exciting fireworks. 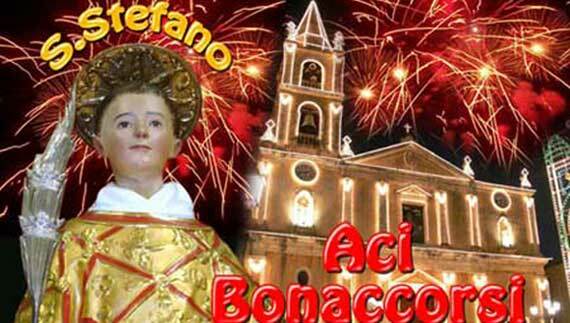 In almost all the small villages on the slopes of Etna the patronal festivals record fireworks, but at Aci Bonaccorsi (CT) over the years there has been witness to shows of truly exceptional nature. The tradition of fireworks in this country has acquired a particularly important connotation starting immediately after the Second World War. On the evening of August 2, the traditional Festival nation of Fireworks, the “evening of fireworks” par excellence, dedicated to the “clash” of the parties, a sort of pyrotechnic Palio, between the Battiati and Piazza districts. The 1946 was characterized by the show set up, for the Piazza district, by a famous Lazio master commonly known as “Romano”, the pyrotechnic Serafino Coccia da Paliano (FR). Between 1946 and 1964 in Aci Bonaccorsi came to present their shows the best prirotechnics at national level. On the 2nd of August, eve of the Festa, the traditional “Cantata” re-edition of history. Traditional POPULAR CANTATA of hymns in Santo Stefano, performed by the Cantatori of the Battiati and Piazza districts. National Fireworks Festival. 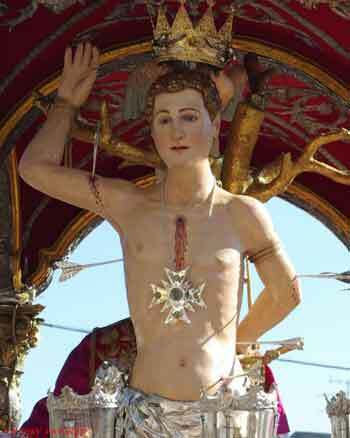 On 3 August, the date of the discovery of the Holy Body of the Protomartyr, in the solemn morning unveiled of the statue and a translation from the main altar. In the late afternoon triumphant exit of the art fercolo with the simulacrum of the Holy from the mother church, dedicated to the Madonna dell’Indirizzo and spectacular fireworks. 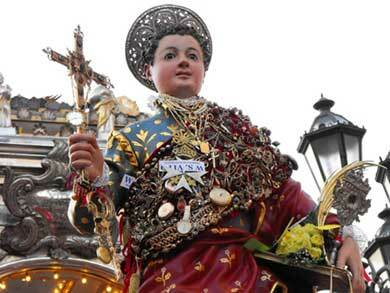 Procession of the simulacrum of St. Stephen through the streets of the city. At 22.00 traditional entry into the square, the procession continues through the streets of the Battiati district, then the blessing with the relic and the closing of the simulacrum in the Chapel. 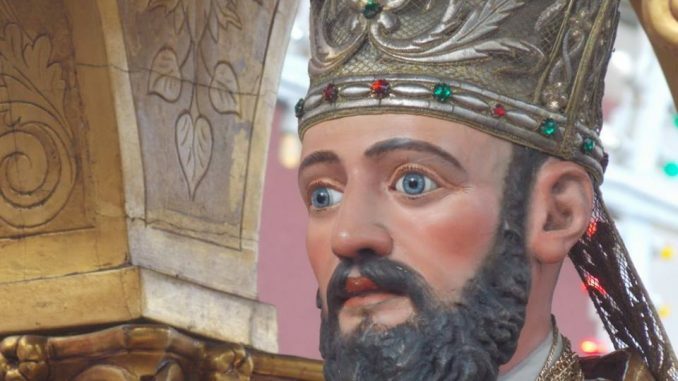 The following Sunday, the eighth of the festival, opening of the chapel, in the afternoon the Saint’s translation on the main altar and procession inside the church and stop at the churchyard. St. Stephen’s Winter Festival on December 26th. Pyrotechnic shows offered by the parties of the country that represent the two districts, Piazza and Battiati; procession of the Saint, carried on his shoulder, through the main streets of the town.